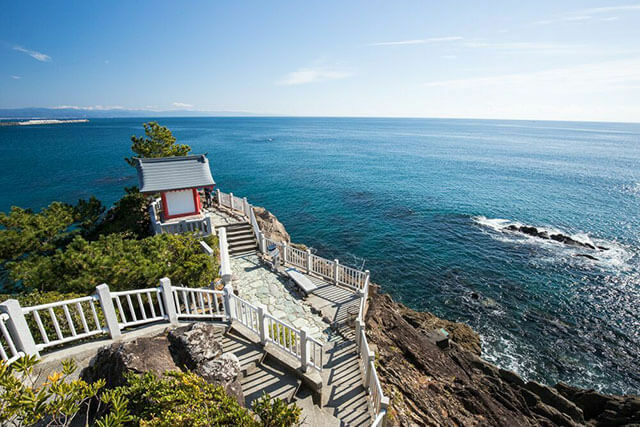 The designation of “Important Preservation District for Groups of Historic Buildings,” introduced in the 1970s, sounds anodyne, the language of bureaucracy, but it represented a step forward in how Japan—a country that’s suffered waves of destruction and buried much of its heritage under concrete—treats its historic properties. 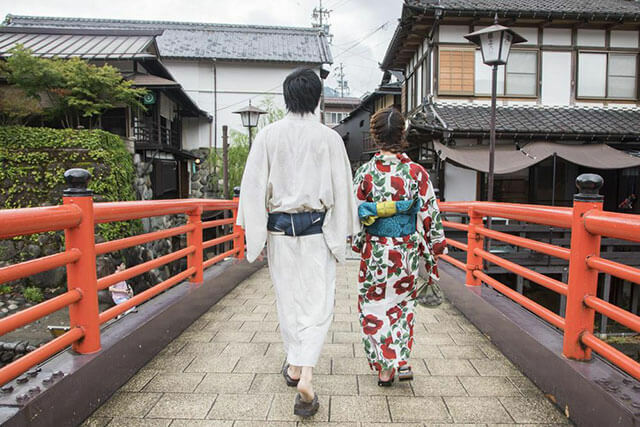 Gujo Hachiman Town is one of the beneficiaries of that designation, and today, the old castle town still stands, an oasis out of time, a hidden gem in Gifu Prefecture. Streams run along the Yanaka Mizu-no-komichi in Gujo Hachiman Town, filling the cobblestoned street with the steady trickle of water. Footfalls echo down the alley. The willows on the berms wave in the breeze. This place answers, at least partially, the question: why are these old places worth preserving? 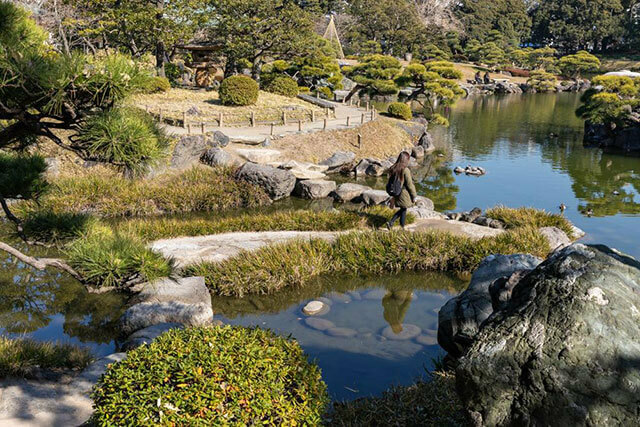 Whether or not you agree with Alex Kerr’s invective against the ugliness of Japan’s modern cities, places like Gujo Hachiman Town point to another way of living, slower, perhaps, and less orderly, rooted to the natural world through water and materials. 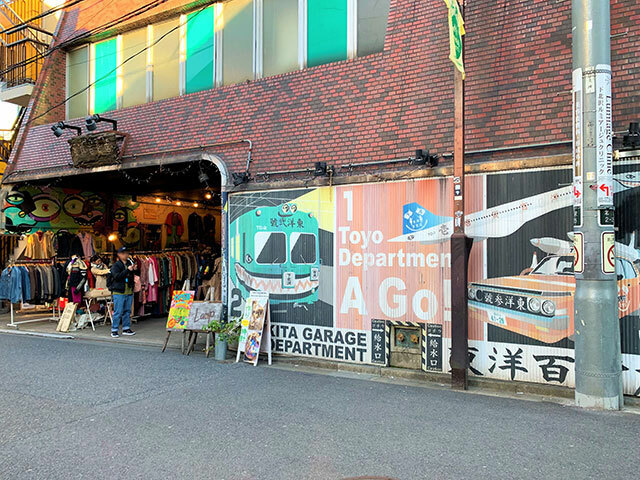 Off of Yanaka Mizu-no-komichi, a few small museums, including Yudokan, the first floor given over to paper dolls, the second to oil painting and wood sculpture, and the third to Japanese paper dolls depicting traditional scenes. This is as sound a proof as any of Jane Jacob’s dictum that old ideas can sometimes use new buildings but new ideas need old buildings. There are discoveries waiting to be made in the many small alleys that extend through the town, including a number of well-preserved shrines. The proud keep of Hachiman Castle beetles over the town. The castle and its lords were the reason for this town survival over the centuries. 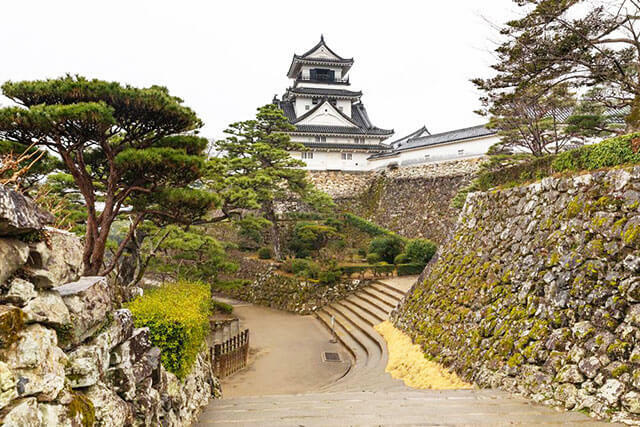 The same as nearly ever castle in the country, Hachiman has burned and been rebuilt many times over the years. The town leads up to the castle, which affords panoramic views of the surrounding countryside laid out across the river valley. When autumn comes, it’s a fine place to look down at the sea of red leaves on surrounding hills. The Yoshida and Nagara Rivers fed Gujo Hachiman’s industry for centuries, and evidence of both remain, in the canals and waterways diverted through town once used by blacksmiths and for fighting fires, and in the tiny shops that dot the village landscape. Modernity hangs around the periphery, and it’s not impossible to feel as if you’ve stepped back in time, but the project to preserve the castle and its town have also helped keep the community thriving. Make sure to explore beyond the picture postcard alleys, and make time for a pit stop at a cafe or local restaurant. If you do make it to a restaurant in town, it’s a good idea to try the local specialties. 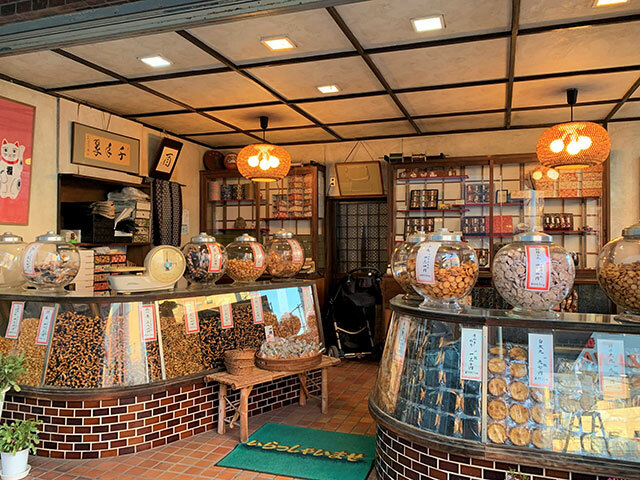 Although Gujo Hachiman was a center of industry and agriculture, it remained—and still is, really—off-the-beaten-track, which means that it’s food culture developed independently. Three highlights not to miss are the local pickles, the miso, and Hida beef. The beef is particularly fine and comes from a dark-haired breed famed in the region.